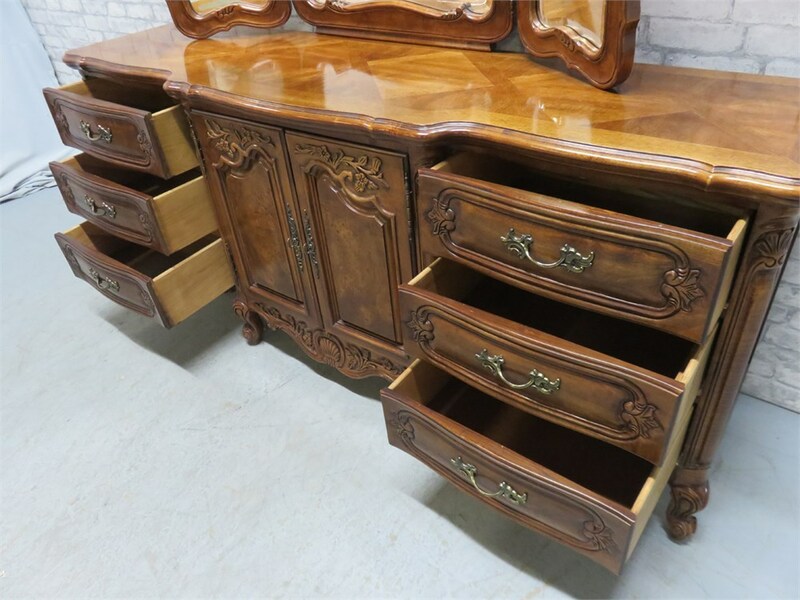 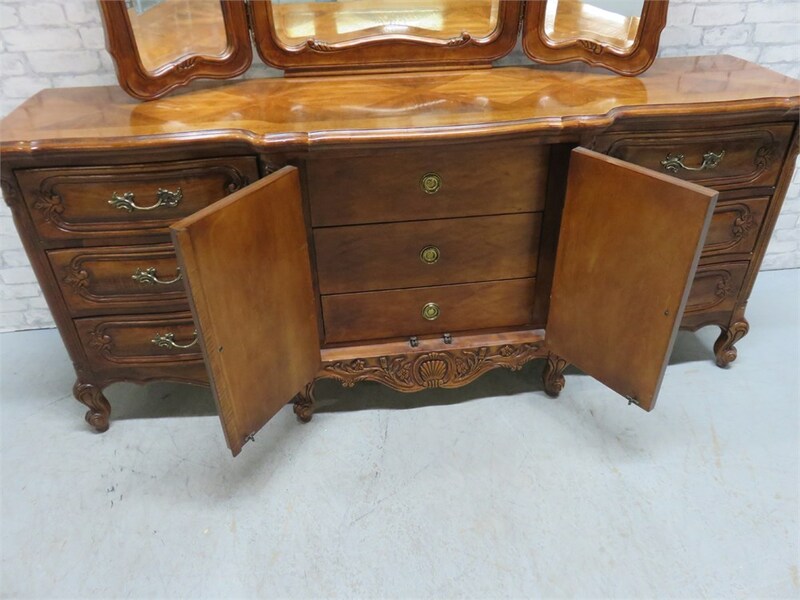 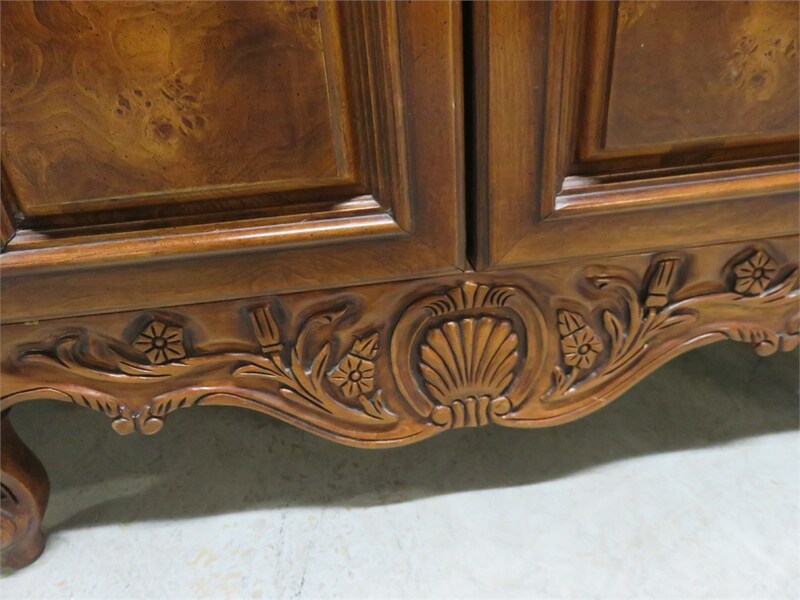 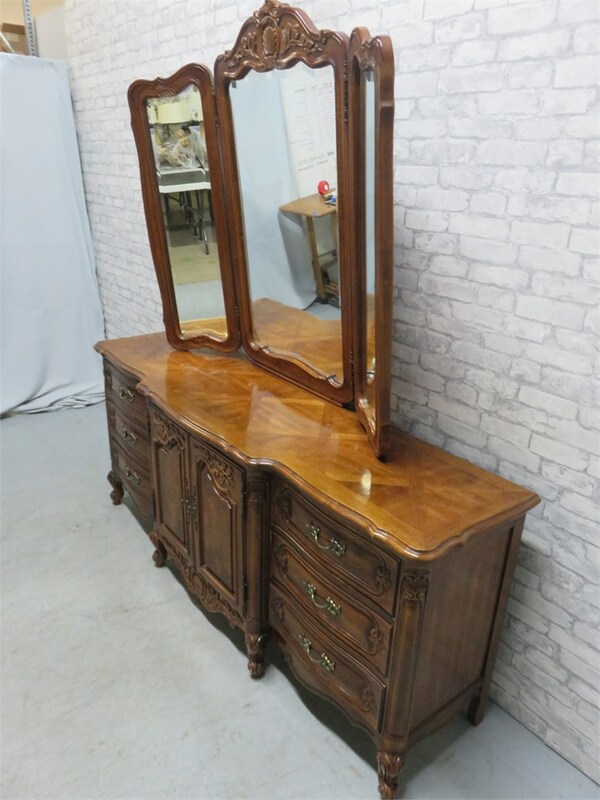 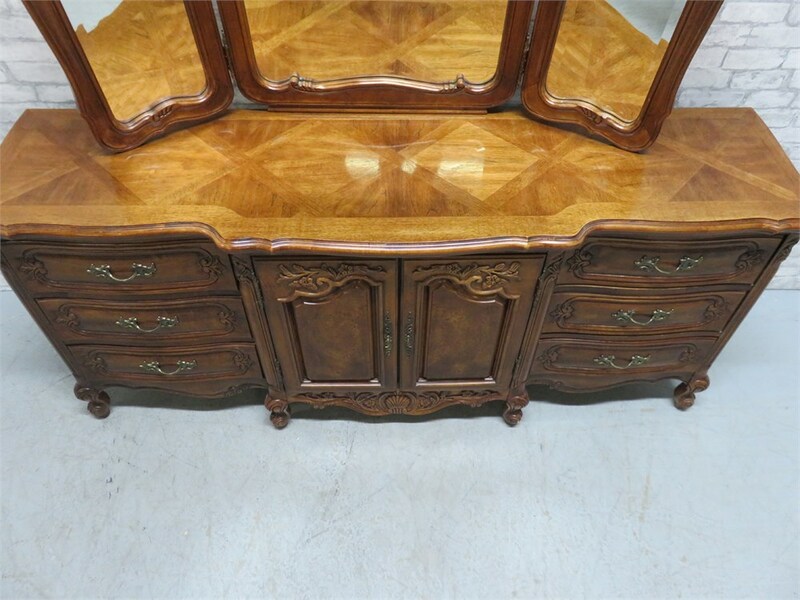 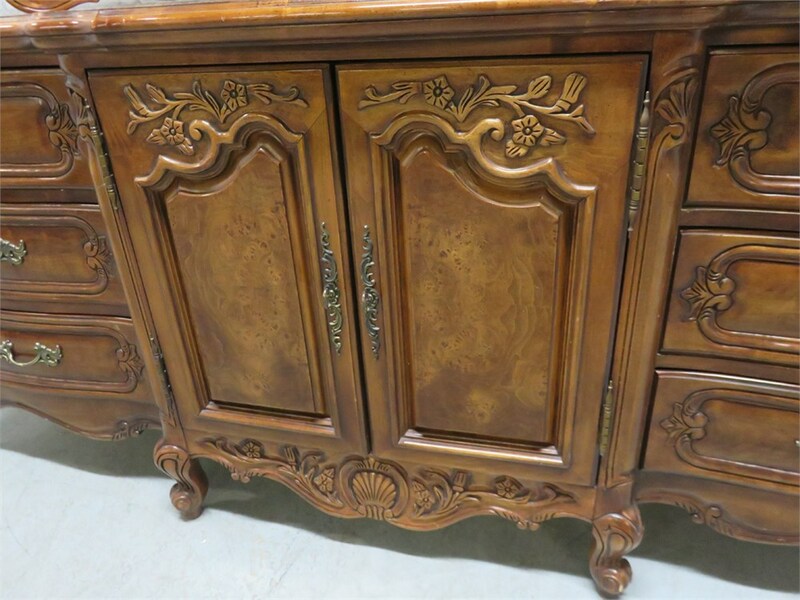 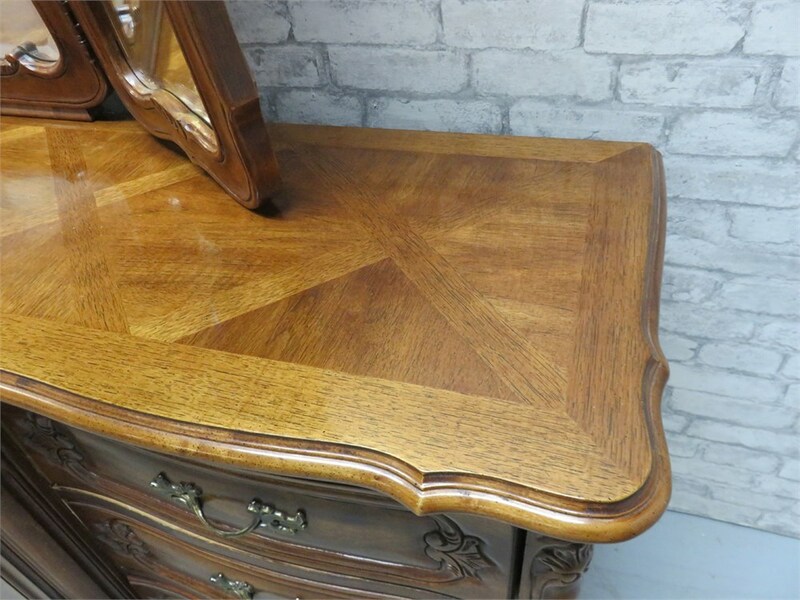 A beautiful French Provincial cherry triple dresser from Bernhardt Furniture. 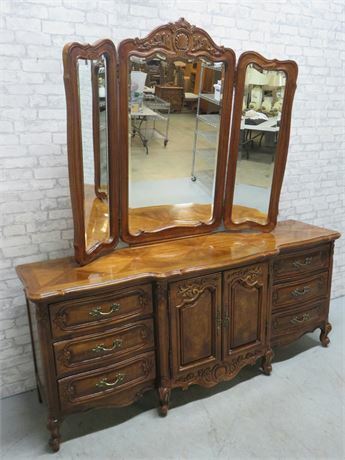 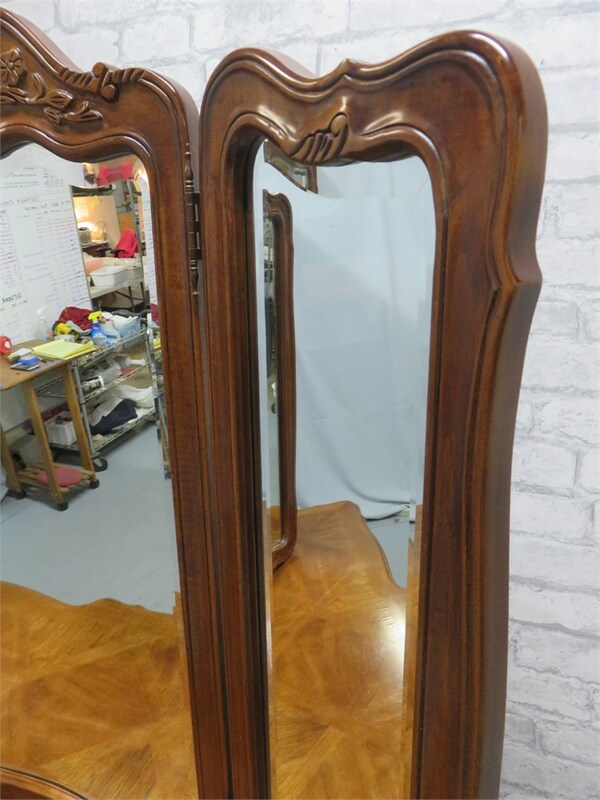 Features a 3-panel beveled glass mirror, dovetail drawers, exquisite carved accent detailing, and cabriole legs. 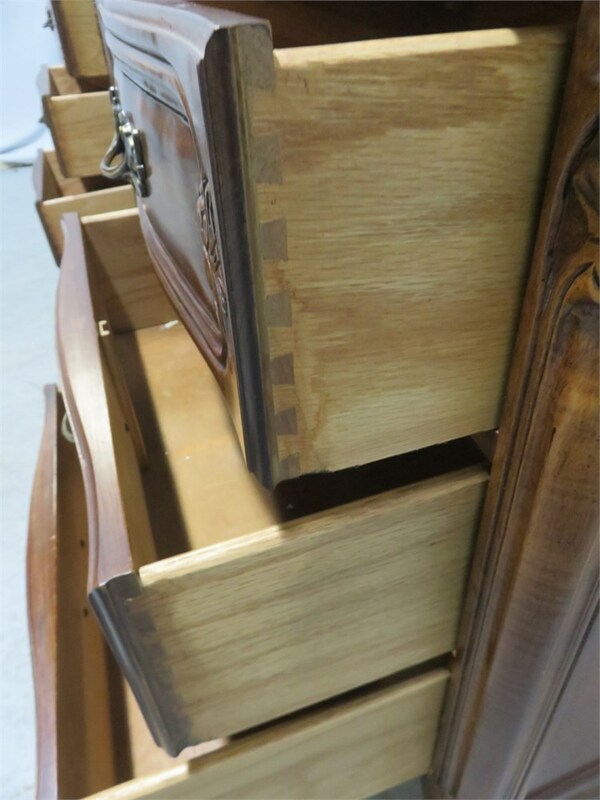 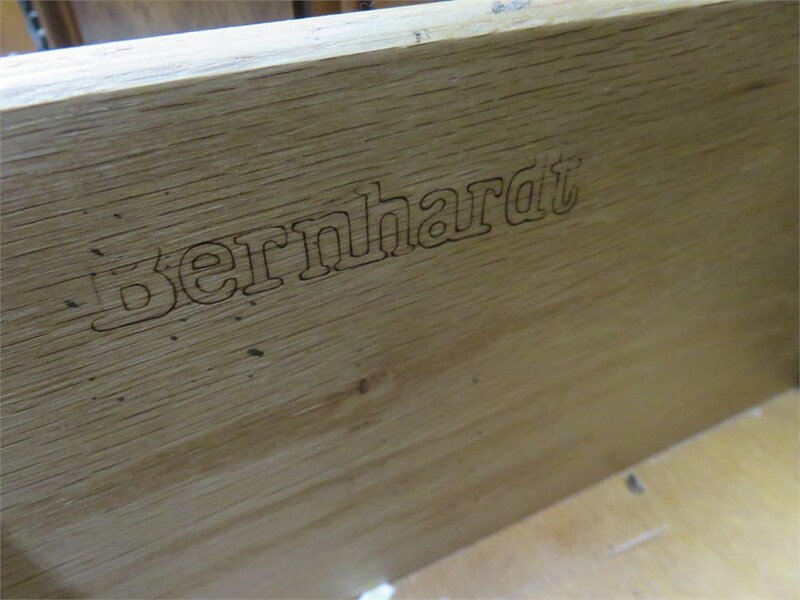 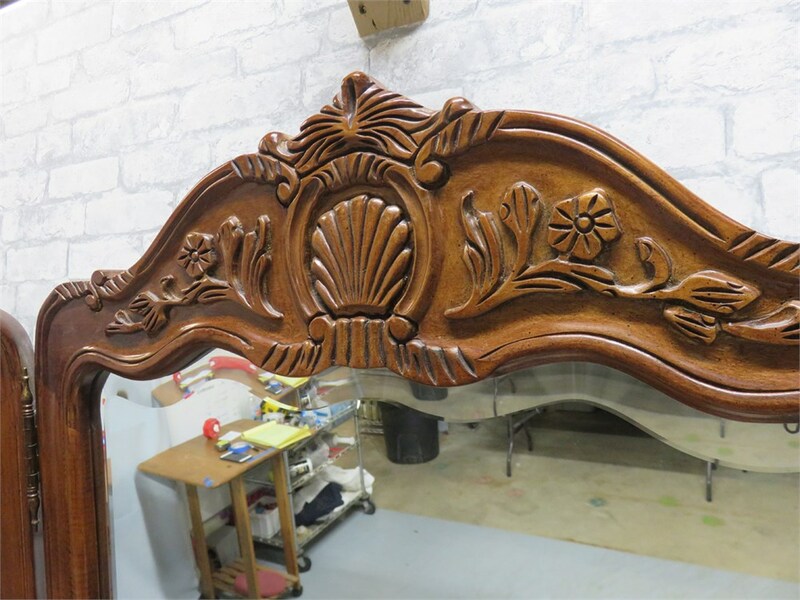 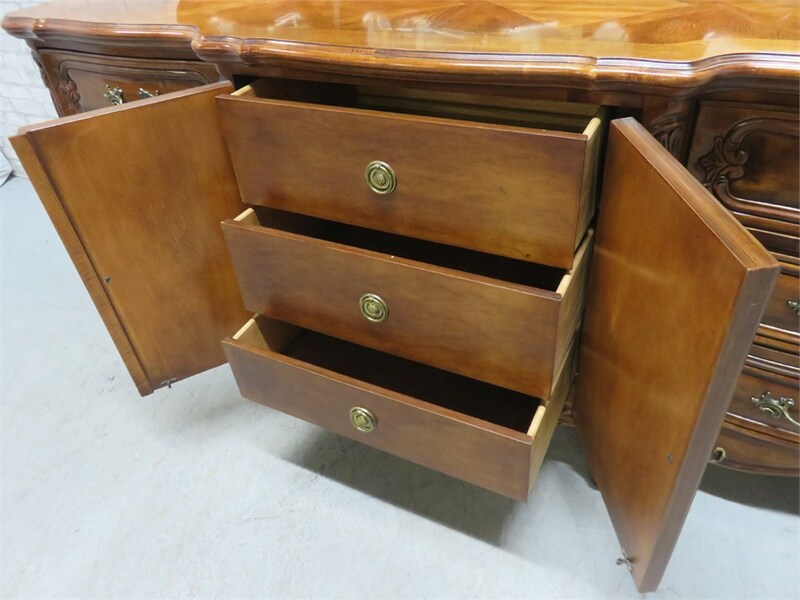 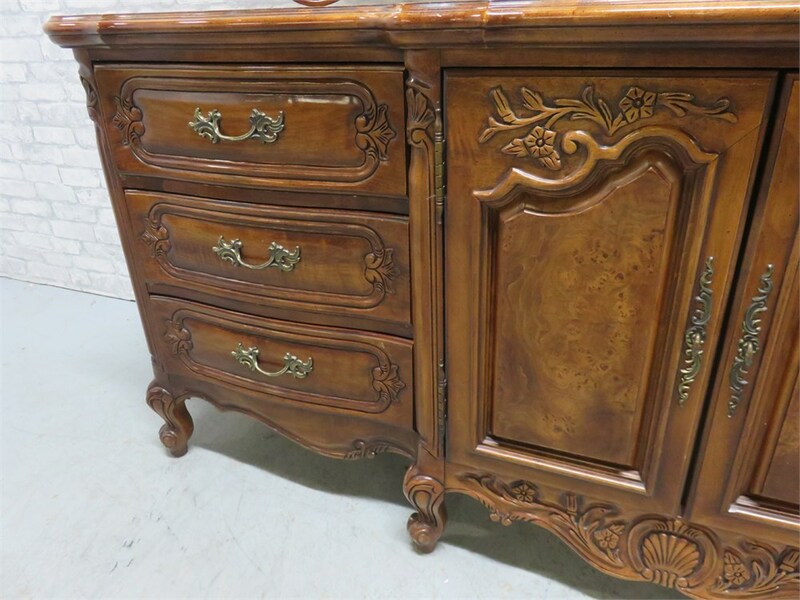 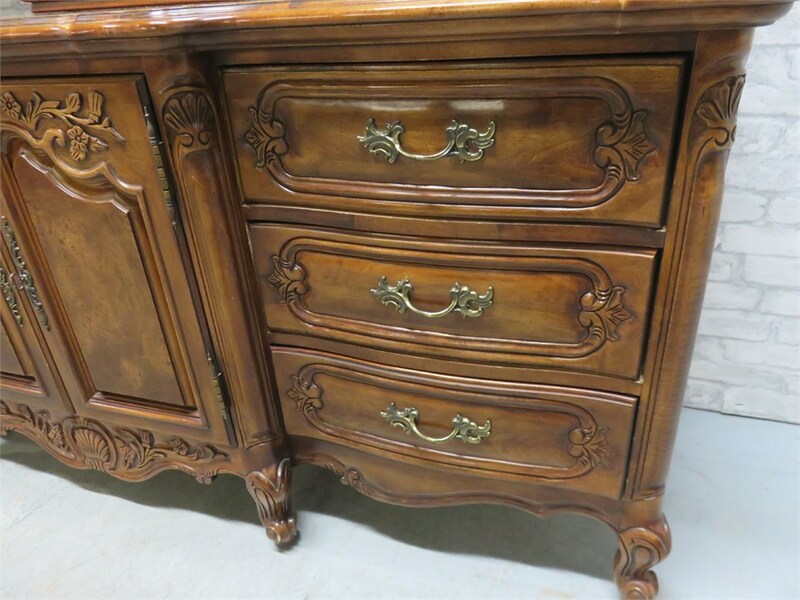 A matching highboy chest is listed in lot #6.